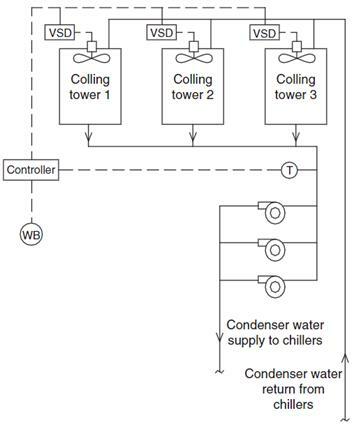 ပံု ၄-၄၀(က) Cooling tower fan control to optimize condenser water temperature. ပံု ၄-၄၀(ခ) Cooling towers with variable speed fans. ပံု ၄-၄၁ Cooling tower efficiency for different operating strategies. The type of Cooling Towers with maximum heat transfer between air to water is ___. Natural draft Cooling Towers are mainly used in ____. 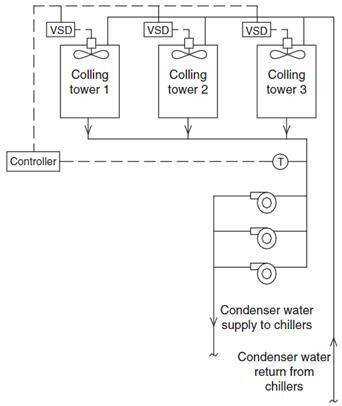 In counter flow induced draft cooling towers water and air both enter the top and exist at the top of the Cooling Tower. Better indicator for cooling tower performance is ____. Cooling tower effectiveness is the ratio of____. Cooling tower reduces circulation water temperature close to____. The ratio of dissolved solids in circulating water to the dissolved solids in make up water is termed as ____. Which one of the following is true to estimate the range of Cooling Tower? Which one from the following types of Cooling Towers consumes less power? L / G ratio in cooling tower is the ratio of ___. Normally the guaranteed best approach a cooling tower can achieve is ___. The temperature selection normally chosen for designing of cooling tower is ___. Select the statement which is true for a FRP fan. Generally a 2.8 °C approach to the design Wet Bulb is the coldest water temperature that cooling tower manufactures will guarantee. How a continuously monitored ambient DB and RH data can be utilised for the cooling tower design? 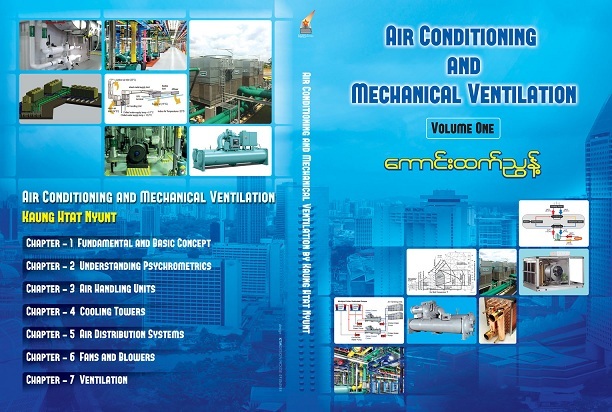 From the monitored DB(°C)and RH%, Wet Bulb temperature(WBT)can be arrived using psychometric chart and same is used for designing Cooling Tower. In the design of CT Wet Bulb temperature selected is not exceeded over 5 percent of the time in that area. How size of cooling tower and Wet Bulb temperature are related? Wet Bulb temperature is a factor in cooling tower selection. 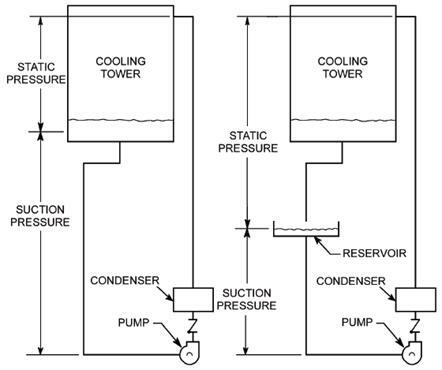 The higher the Wet Bulb temperature, the smaller the cooling tower required to give a specified approach to the Wet Bulbat a constant range and flow rate. FRP blades are normally hand mould. These blades are aerodynamic in profile to meet specific duty conditions more efficiently. 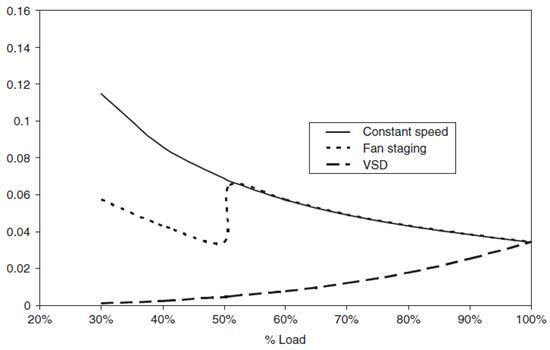 Due to light weight FRP fans need low starting torque resulting in use of lower HP motors. 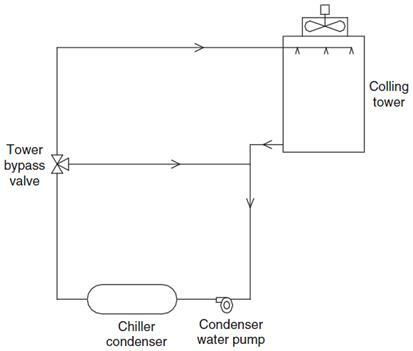 Effect of cooling tower outlet water temperature on A/C compressors, 1 °C cooling water temperature rise may increase A/C compressor power consumption (kW) by 2.7%. 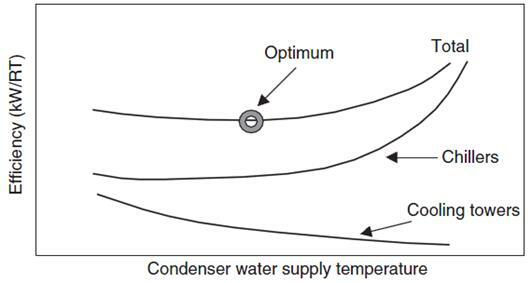 (1) “Range” is the difference between the condenser water inlet and outlet temperature. (2) “Approach” is the difference between the cooling tower outlet cold water temperature and ambient Wet Bulb temperature. Though both parameters should be monitored, the “Approach” is a better indicator of cooling tower performance. 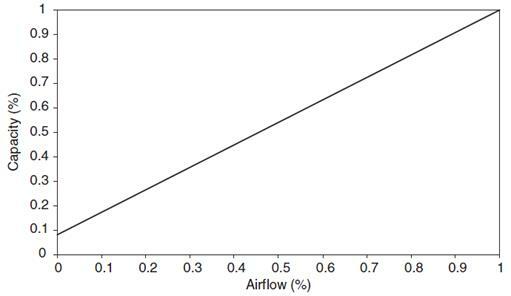 Cooling tower effectiveness in percentage is the ratio of range, to the ideal range, i.e., difference between cooling water inlet temperature and ambient Wet Bulb temperature or in other words it is = Range /(Range + Approach). What will be the effect of cooling water temperature in heat rate in thermal power plants? 1°C temperature drop in cooling water will lead to heat rate saving of 5 kcal/kWh in thermal power plant.